TEN-year-old Layla Denmeade from Bexhill has won her first-ever competition after entering to win a book from local author Dr Dawn Macintyre. 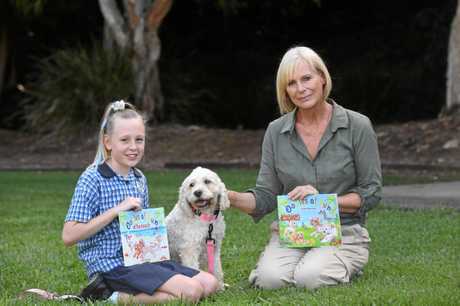 On Wednesday Layla met the star characters of Dr Dawn Macintyre's book series Oodles of Fun, based on her four canine mates - Charli (a spoodle), Dougal, (cavoodle), Barnzy (labradoodle) and Riley (Groodle), who travel to their favourite locations. Layla attended Goonellabah Story Time with her younger siblings when she put in for the competition to win Oodles of Fun at the Beach, which is book two of Mrs Macintyre's series. "The second book is exactly the story of how our four dogs go to the beach - how they get in the car, how they play and how happy and relaxed they are when they come home," Dr Macintyre said. "It's a beautiful story based at their favourite beaches in Byron Bay. "What's really great about the books, I've discovered, is that they're wonderful for kids with dyslexia or reading difficulties because of the coloured words and the fact that they are not on a straight line it actually makes it easier for the kids to follow the words." Dr Macintyre's first book was released in January, titled Oodles of Fun. Sales of Dr Macintyre's books also support the charity Story Dogs, which helps children with reading difficulties learn to read with the support of friendly canines. The books can be ordered online at https://www.oodlesoffun.com.au/shop or bought at various outlets across the Northern Rivers. 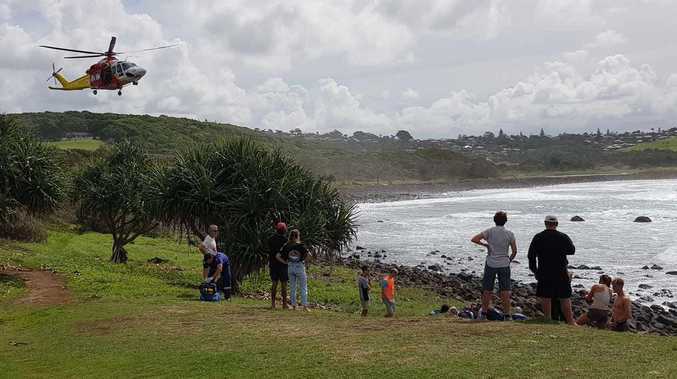 Breaking SURFERS found the man and brought him to shore, where ambulance crews started CPR but were unsucessful.